The decision to get pregnant and to expand your family is an exciting moment of your life. 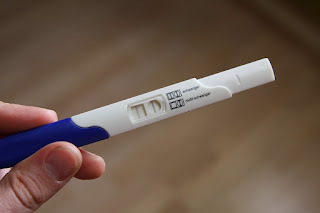 Once you have decided to have a child enter your life, the next steps are to make sure we do everything possible to get pregnant by natural means if possible. There are a variety of ways to get pregnant easily by changing your lifestyle today. To live a healthier life, you are more likely to enjoy these ways to get pregnant and have a healthy body for your baby’s future! Look for changes in lifestyle that can help you get pregnant more easily in the future. If you have recently discovered that you are already pregnant, it is possible to adopt these changes and reap success. It is never too late to be healthy for your child! Most of these recommendations are based on traditional wisdom coupled with the statistics. Some mothers and babies do not follow all these tips of a great lifestyle, but it is always better to be safe when you are responsible for the life of another human being. What to Eat? Whatever goes into your body will go into the body of your child as well. This fact alone should make you rethink some of your choices. Prefer to eat "junk food" rather than a balanced diet? You need to reconsider some of your food choices every day so that your child is getting all the nutrients and vitamins that he or she needs now. There are a number of foods to avoid during pregnancy. Some of these foods are considered at risk even if you were not pregnant, but with the increased risk of carrying a child, some of these foods should be avoided at the risk of complications or problems. Some examples are fish high in mercury, soft cheeses and sushi. Are you in shape? Carrying a baby takes a lot of work. It is logical therefore that the more normal your body weight and strength were prior to pregnancy, the better you will be while carrying your child. It takes a lot of strength to make your job easier. Taking drugs, alcohol or smoking? You know excessive drinking of alcohol is not healthy for you, so participating in these activities, while your baby is sharing your blood does not make much sense. Both legal and recreational drugs can also affect the growth of your child. Consult your doctor to ensure that medicines that are prescribed may not affect your baby. Avoid smoking and alcohol to give your child the best chance of being born healthy and strong. Heard of folic acid? Even before pregnancy, doctors prescribe folic acid as one of the ways to get pregnant safely. Most doctors recommend folic acid supplements for pregnant women, because women do not get enough in their daily diet. Folic acid is important to take well before you actually get pregnant, so you should start taking at least a month before trying. What it does is help prevent certain neural tube birth defects such as Spina Bifida. By following a smart and healthy lifestyle, you will be doing your best to contribute to a healthy conception and pregnancy. For much more comprehensive guidance to maximize the odds of getting pregnant, check out Taking Charge of Your Fertility, The Definitive Guide to Natural Birth Control, Pregnancy Achievement, and Reproductive Health. -- For any woman unhappy with her current method of birth control; demoralized by her quest to have a baby; or experiencing confusing symptoms in her cycle, this book provides answers to all these questions, plus amazing insights into a woman's body.